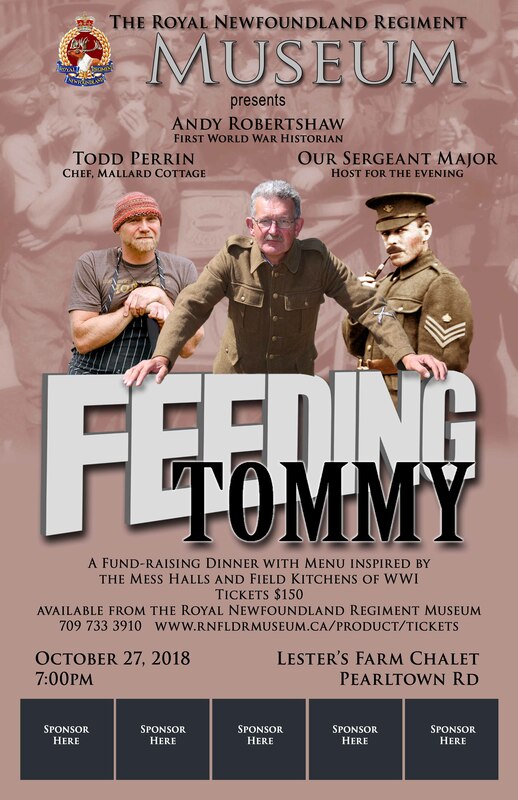 Join us for an evening of music, presentations and a menu inspired by Field Kitchens and Mess Halls of the First World War and Chef Todd Perrin of Mallard Cottage to raise funds for the Royal Newfoundland Regiment Museum. Tickets purchased with cash or cheque $150 each, $5 surcharge will be added for credit card transactions. Charitable tax receipts will be issued.